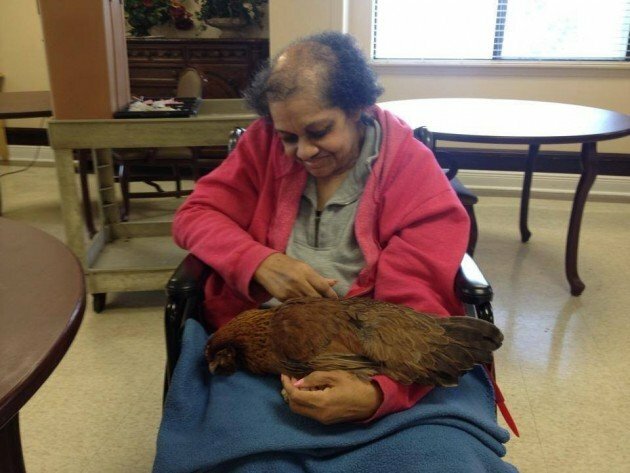 You may have heard of nursing homes or assisted living facilities bringing in dogs and cats to give their residents a little “pet therapy.” But what about birds? One enterprising New Orleans-area bird rescuer is doing just that. 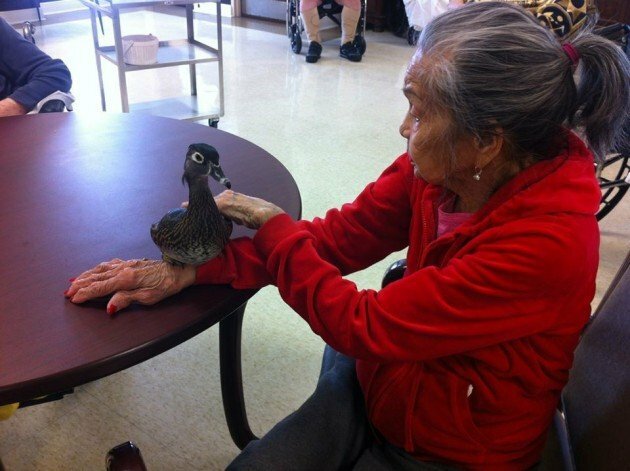 As reported by the fine folks at The Dodo, after Hurricane Katrina forced Katrina “Kasia” Perkowska to evacuate, she started bringing her pet Wood Duck, Scooter, to her mother-in-law’s nursing home in Mississippi. The bird was such a hit with residents that Kasia, who went on to found the rescue organization Kasia’s Ark Bird Rescue, continued the effort once she returned to New Orleans. Scooter is now getting on in years and has suffered health setbacks. But Kasia has kept the bird-therapy program going with other rescued birds, including ducks and chickens that are often surrendered or abandoned once Easter’s over. (But that’s a whole ’nother rant.) She also brings the birds to schools and other community groups. That’s a beautiful story. Thanks, Meredith!